Trust the services of CS Sprinklers to ensure your irrigation needs are handled promptly. When you need quality sprinkler repair and maintenance in the Denver Metro area, look no further than CS Sprinklers. We repair sprinkler systems in the residential and commercial areas of Aurora, Littleton, Highlands Ranch, Centennial, Englewood, Lakewood, Lone Tree, Glendale, Sheridan Greenwood Village, and more. Our customers are happy and their lawns and gardens are thriving. Being a family owned and operated sprinkler business in Denver, Colorado gives us insight and understanding regarding our customers’ needs when it comes to automatic watering and sprinklers. A fully functioning sprinkler system should save you time and with efficient watering–money. However, when your sprinkler system breaks down due to broken sprinkler lines or broken sprinkler heads, it is no longer effective and can cost you more money with increased water bills. When this happens, make sure to shut off your water and call the trusted sprinkler repair professionals with over 30+ years experience at CS Sprinklers. We repair every major brand of sprinkler system. Most oftentimes, sprinkler system repairs are a quick fix, usually a sprinkler head, but sometimes they can require extensive tear-outs and replacements. When inspecting a broken sprinkler system, we try to evaluate and troubleshoot problems to avoid costly repairs. Sprinkler heads can easily break from passing lawnmowers, edgers, gardeners, and even playing kids. A clear indication of a broken sprinkler head is uncontrollable shooting water or bubbling when the sprinklers are active. Another issue sprinkler systems suffer from is clogged sprinkler heads; usually caused by overgrown grass and mud. Broken pipes and leaks can cause extensive damage to sprinkler systems, requiring professional sprinkler repair. With the beautiful seasons in Colorado, it’s important to have your sprinkler system winterized in the fall and properly inspected and activated in the spring. Just like traditional home plumbing, tree roots search out water sources and can oftentimes wreak havoc on sprinkler system lines. When you have a broken sprinkler head, leaks, broken sprinkler pipes, dry spots, or even a flooded yard, call the friendly professionals at CS Sprinklers today. When you search for “sprinkler repair near me”, choose the fast, dependable sprinkler repair professionals that so many local Denver residents use and recommend with CS Sprinklers. Keep your lawn green and beautiful with residential and commercial lawn sprinkler repair and maintenance. Contact us today! No matter what the issue, CS Sprinkler fixes all sprinkler parts from all the major brands to ensure everything is in good working order. Our hands-on ownership approach allows us to offer the very best service in sprinkler repair and maintenance. The professionals at CS Sprinklers are dedicated to ensuring your satisfaction. Our customers are our business and the strongest compliment we can receive is your referral to friends, family, and neighbors. With eco-friendly solutions, we’ll help keep Denver’s lawns green, reduce water waste, and help protect the planet for future generations. Call the professionals at CS Sprinklers for prompt and professional service. With a complete range of irrigation services, we'll offer you the best products and service with highly competitive prices. When you want the best sprinkler service and products available, call CS Sprinklers. We have the latest smart-watering features in today's state-of-the-art sprinkler equipment. Whether you need a new system installed or have an existing system, you can trust the sprinkler professionals at CS Sprinklers to give you the best price and recommendations. The professionals at CS Sprinklers have the knowledge and expertise to repair any sprinkler or irrigation problem, keeping your lawn green and your plants thriving. Give us a call. We're ready to help you. Call the sprinkler professionals you can trust to ensure your sprinkler system is ready for winter. 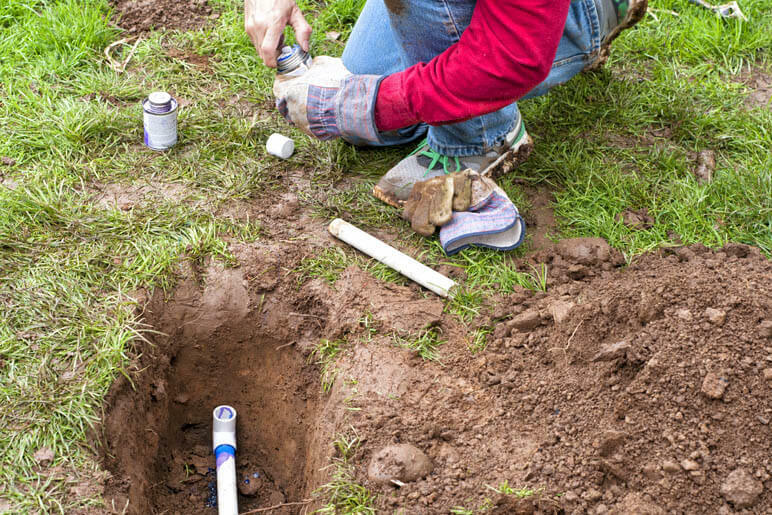 With routine seasonal services offered, winterization and blowouts protect your underground pipes. After a long winter, your sprinklers should be properly inspected in the spring to check for leaks and to make adjustments to sprinkler heads and watering schedules. Call CS Sprinklers today! If you have any questions about irrigation products or services, give the sprinkler professionals at CS Sprinklers a call today!